This property at 5799Sonora Pass Drive , Sparks, NV89436 has listed by Terrie Leighton but has not been updated for quite some time. Please contact the listing agent and broker for up to date information. WOW! A Regular Sale! This 4 bedroom 21/2 bathroom single family home in Sparks, Nevada is located in the popular Painted Trails at Kiley Ranch neighborhood. A great location with easy freeway access and walking distance to the Sparks Galleria Shopping Center. 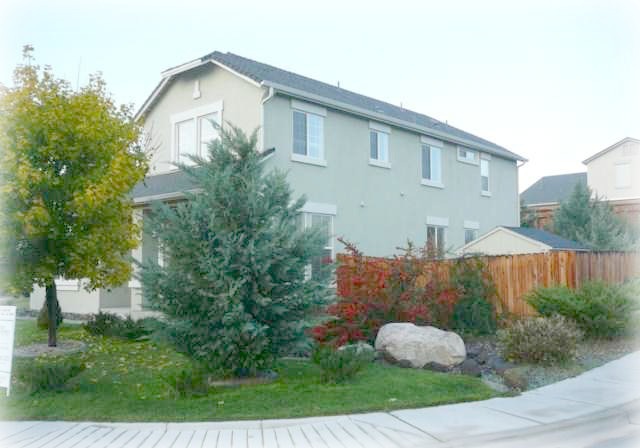 This home is set on a nice sized corner lot and is beautifully landscaped. Full sprinklers and back yard fencing for lots of privacy. An attached 2 car garage with nice driveway provides extra parking. This two story home will come fully furnished if you so desire!! Walk into a true formal dining room and notice the open concept kitchen that opens to the family room with a fire place and your will immediately feel right at home. Upstairs your will not only find all 4 bedrooms but a nice loft that is perfect for a small office or reading area. The fabulous master suite is very generous in size and has a walk in closet. The master bath has a shower stall, bathtub, dual sinks and a water closet. Plenty of room to get ready in the morning! This bright sunny home has been immaculately maintained and is ready for new owner. Remember, it is a regular sale and can close quickly. Call me for all the details of this home listed by Ferrari-Lund Real Estate.